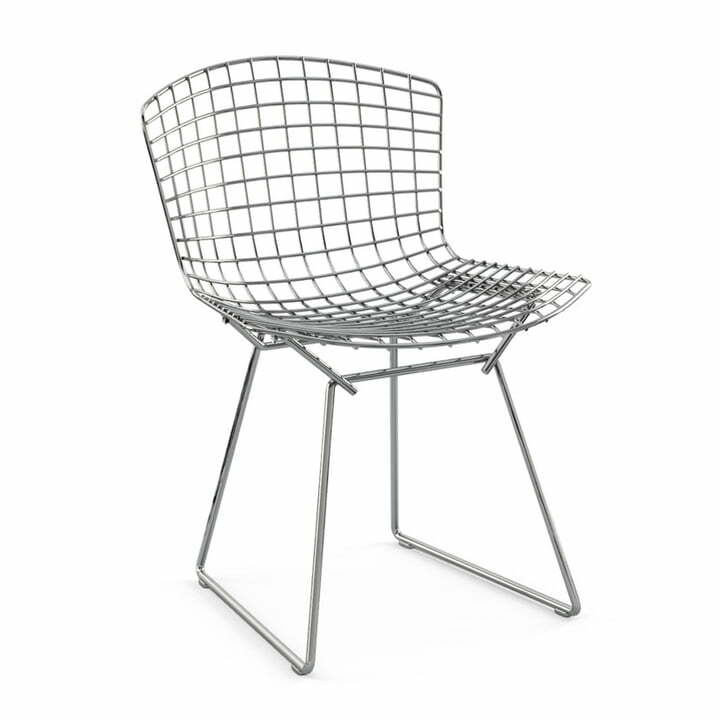 Thanks the industrial material and flowing form, the Bertoia Chair resembles a sculptural work of art; its delicate silhouette is deceptive, hiding the strength and stability of the construction. The chair is available in different versions for the living area or - with a Rilsan coating - for outdoor gardens and terraces. Optional seat cushions in different colours, fabrics and leather variants are available upon request. Single image of the Bertoia plastic seat by Knoll. 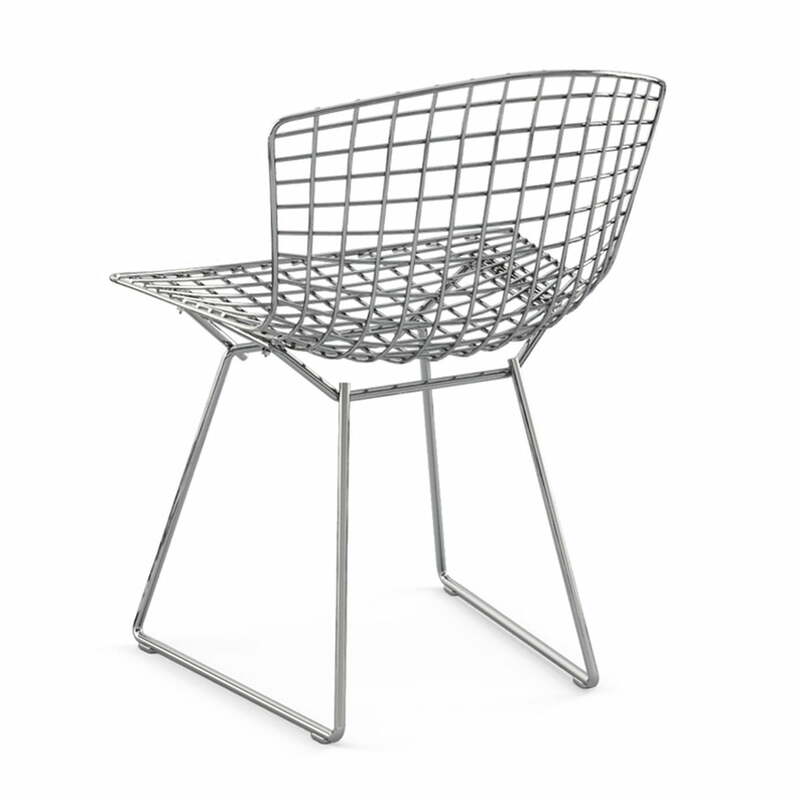 The design classic by Harry Bertoia made of chrome plated steel wire. A modern classic for the living area. Rear view of the Bertoia Chair by Knoll. A stable and filigree chair made of welded steel wire. A high-quality design chair made in meticulous hand work. 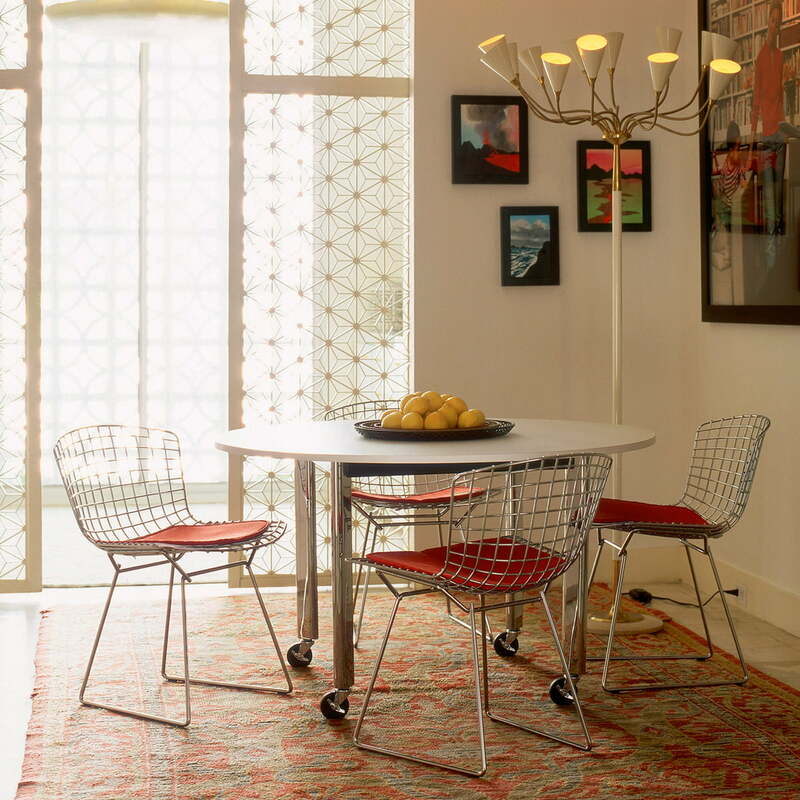 The filigree steel chair by Harry Bertoia is a timeless classic that can be deployed in any environment. Thanks to the airy design of the Chair it optically takes a step back - perfect for small rooms. 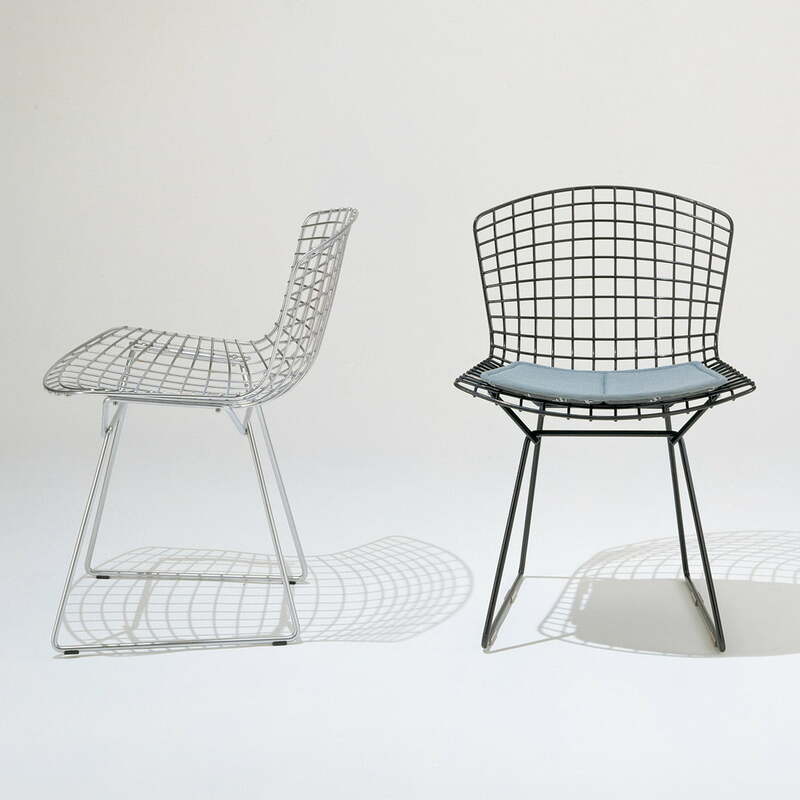 The Bertoia Chair made from steel wire by Knoll is available as a chrome plated version or suited for the outdoor use with a Rilsan-coating in black and white. The airy design can be complemented with seat cushions in different colours. 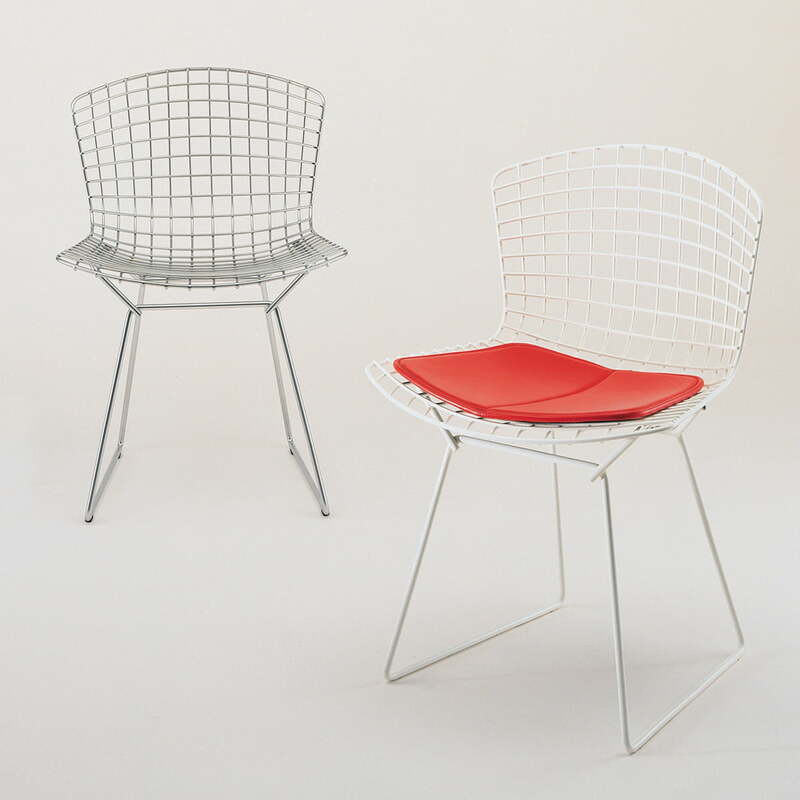 Different pads and seat cushions in leather, vinyl and other materials offer even more comfort for the chair by Knoll, which is available either as chrome plated or white Rilsan coating version by Harry Bertoia.